GEFONT Leading activist Gathering organised by GEFONT Gandaki Province has been concluded . 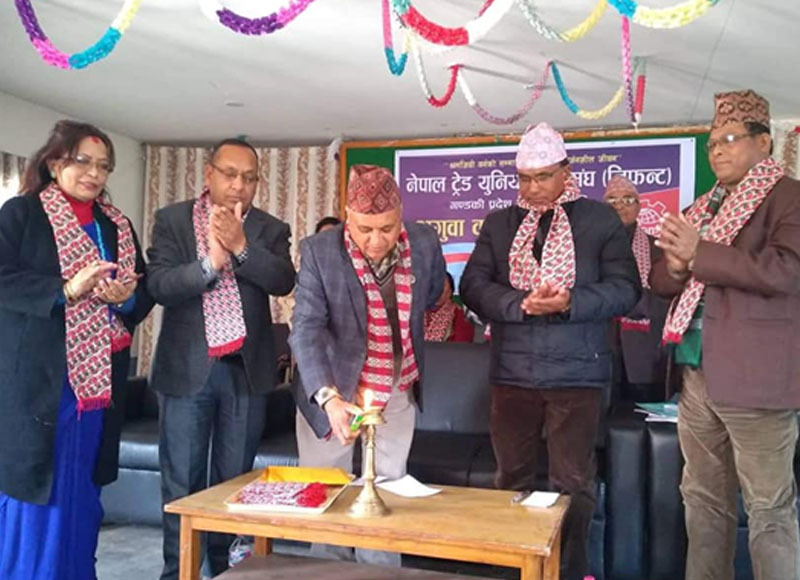 Addressing the Gathering, leader of Nepal Communist Party and member of Federal Parliament Cde.Khagaraj Adhikari highlighted the task of the task-force . Cde.Adhikari said, the task force has involved to bring conclude the strategic goals of Socialism and communism. Some factors are trying their best to make failure the present communist Government . GEFONT vice President Cde. Mina Gurung ,GEFONT Gandaki Province President Cde. Rudra Khatri ,GEFONT Governing council member Cde. Chudmani Jaugali also addressed the Programme.